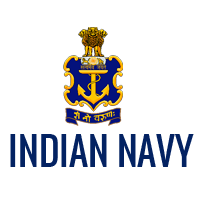 Indian Navy Jobs Recruitment Notification 2018.Indian Navy inviting applications for the positions of ATC, Observer, Pilot posts.Interested and Eligible candidates can apply for the positions. Number of posts to be filled in Indian Navy is 22. Applicants must pass Engineering degree from a recognized university or pursuing final year can apply. Candidates those who have born between 02-07-1994 and 01-07-1998 can apply for ATC post. Candidates those who have born in between 02-07-1995 to 01-07-2000 can apply for remaining posts. Through online mode from 25th August 2018 to 14th September 2018 candidates can submit applications for Indian Navy.